BBC daytime is to take inspiration from Panorama after unveiling two investigative formats. Controller of BBC programming and daytime Dan McGolpin highlighted the forthcoming projects, which revolve around the NHS and emergency services, as having the potential to have been “a really good single Panorama”. Brown Bob’s 5 x 45-minute Operation NHS Fraud will follow the counter-fraud investigators who help to protect the UK’s health service from the theft of drugs and equipment, a crime that costs the NHS £1.25bn a year. Meanwhile, Reef ’s 10 x 45-minute Payback Time For Frontline Crime will tell the story of the police officers, paramedics and firefighters who are injured in the line of duty. McGolpin said that the stripped 9.15am programmes will inherit a post-BBC Breakfast audience eager for investigative shows. “BBC Breakfast is a huge institution and being able to follow it with more in-depth investigations into specific subjects is a great opportunity that we should make the most of,” he added. 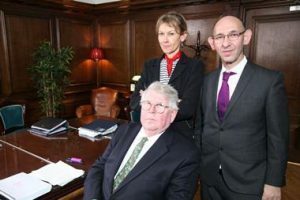 He flagged the success of Chalkboard TV’s cold-case series Murder, Mystery And My Family, which was inspired by BBC4 one-off Catching History’s Criminals: The Forensics Story. Exec producer Mike Benson realised a similar format would work as a daytime series if numerous cases were examined. Elsewhere, McGolpin underlined the importance of co-production deals, having ordered The Mallorca Files, the BBC’s most expensive daytime drama to date. The 10-parter is being funded by US SVoD service BritBox, with broadcasters France2 and Germany’s ZDFNeo. “Drama can be really expensive so agreeing co-funding arrangements is crucial,” he said. Other commissions include Flicker’s The Day That Changed My Life, which uncovers dramatic moments that have had seismic consequences, and BBC Studios’ Home Front Heroes, allowing five famous figures to relive the wartime experiences of a close family member. Both are 5 x 45-minute series. McGolpin has also ordered 20 x 45-minute afternoon antique format Make Me A Dealer from BBC Studios.